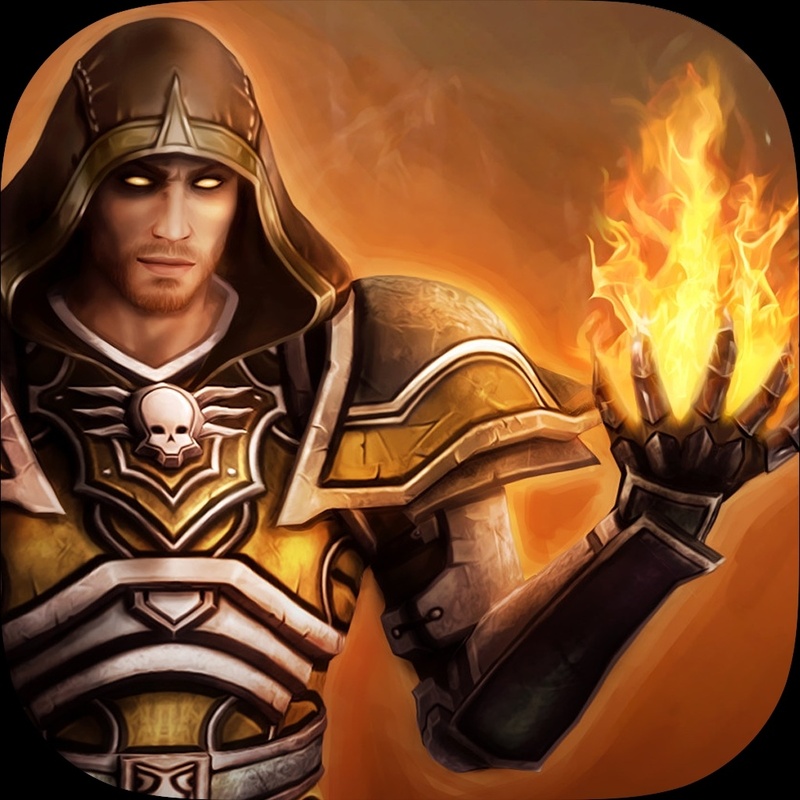 Skilltree Saga ($2.99) by Headup Games GmbH & Co KG is a casual RPG experience for those looking for a game with a streamlined combat system. 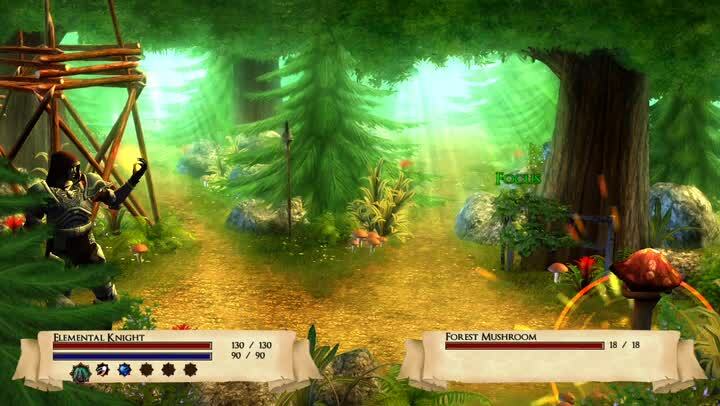 If you like RPGs, but don’t have the time to invest in a lengthy adventure with complicated battles (or are just feeling lazy at the moment), then Skilltree Saga is the perfect fit. 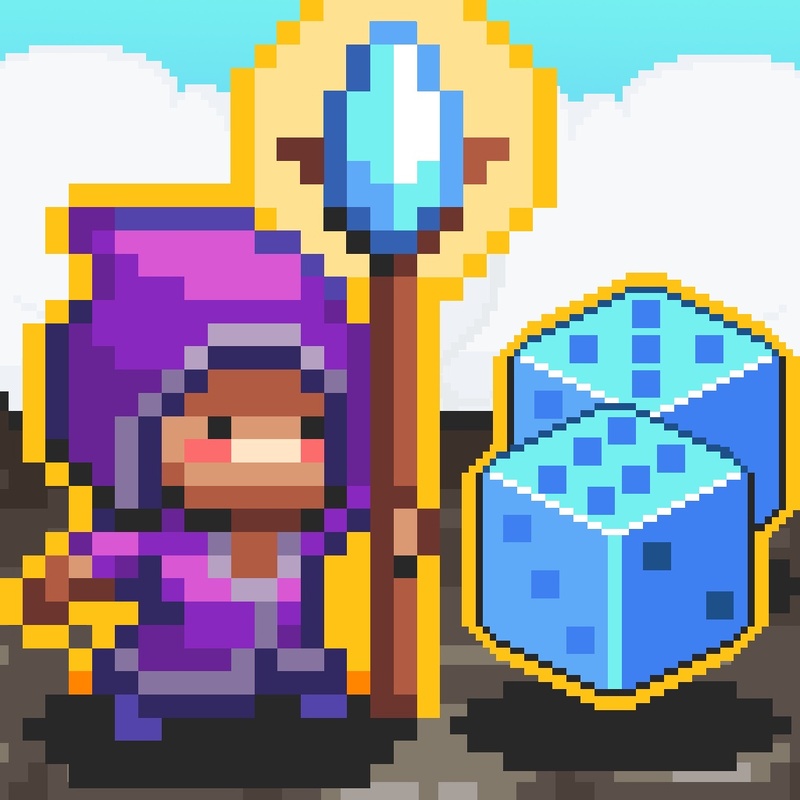 It’s a bit similar to other bite-size RPGs like Dice Mage and Tiny Dice Dungeon in terms of casualness. Back when I was in high school, I played a lot of RPG games in my spare time (mostly summer) because my boyfriend introduced them to me. I always loved seeing my characters progress as I fought enemies, gained loot, and distributed skill or attribute points among party members. 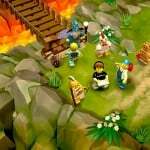 My favorites included many Final Fantasy games and other JRPGs, but as time passed, I realized I just don’t have as much time as I used to for these lengthy games, and I’ve grown to prefer titles that move at a faster pace. That’s why I’ve taken such joy with these lightweight RPG games on iOS, because they still have the core concepts behind RPGs, but I don’t have to spend an entire afternoon on the game. 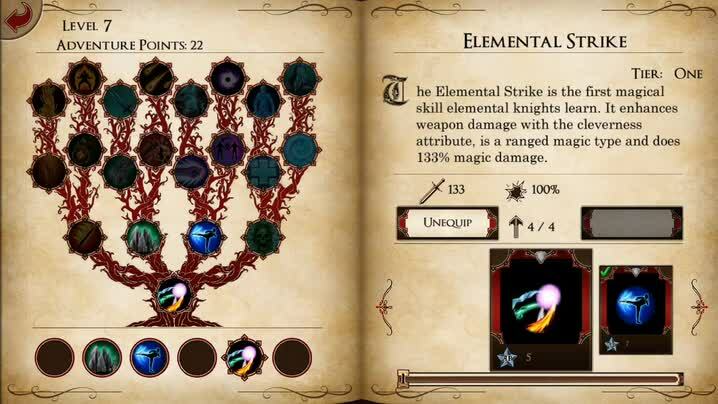 So when I saw Skilltree Saga on the App Store, I had to check it out for myself. 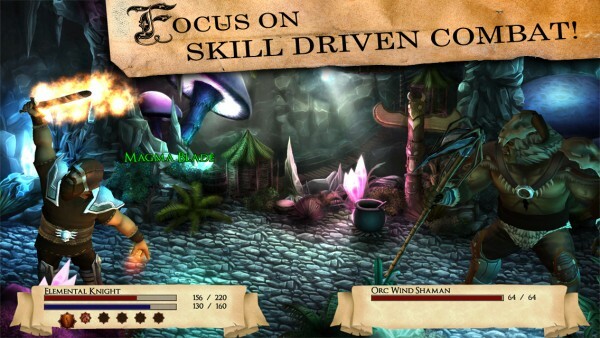 The graphics in Skilltree Saga are stunningly gorgeous, especially on Retina screens. The environments you’ll be traveling through are lush and filled with copious amounts of detail and texture. The colors are rich and vibrant, with fluid character model animations. The game has a soothing yet adventurous soundtrack that is a joy to listen to, and the sound effects in battle are fun. There is also a bit of dialogue exchanged between your character and guide that explains the story and gives you tips as you go, and it’s important to read them to understand the basics as well as the story. 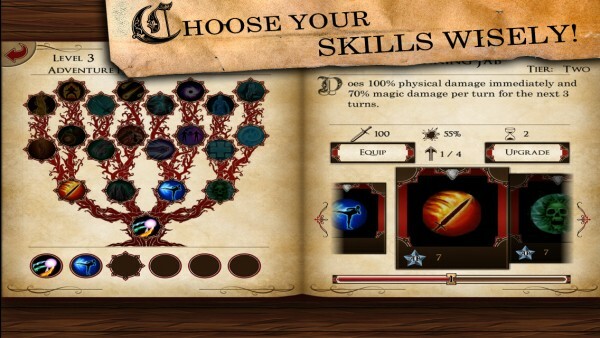 Skilltree Saga is a lightweight, streamlined RPG with some rougelike elements added in to the mix. 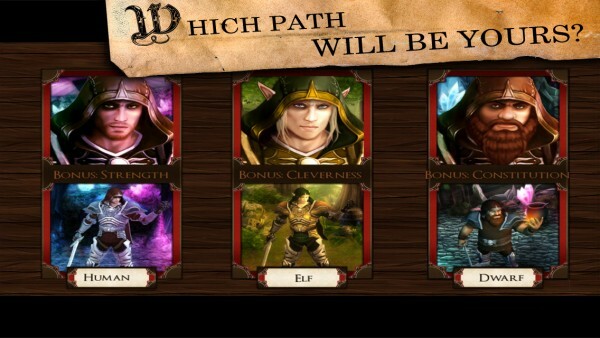 There are three save slots for players, which is perfect considering that there are three different races to choose from for the main character (Human, Elf, and Dwarf). Each race will have a special trait, such as increased strength for humans, so each one plays differently. Once you get past the beginning of the story, you’ll find yourself going through different areas on the map (100 stages), fighting your way through dungeons of randomly generated enemies and then facing off against tough boss battles at the end. 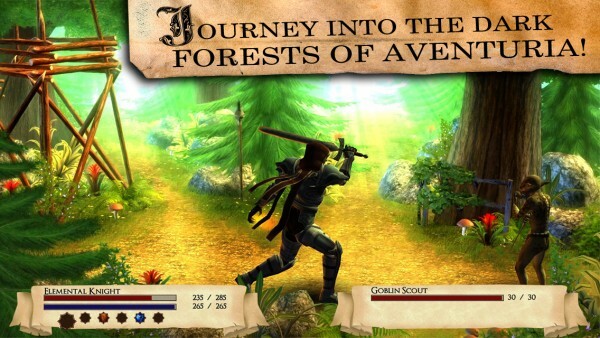 Defeating enemies will get you loot and experience points, with the former ranging from gold to useful equipment. Since Skilltree Saga is a casual RPG, the entire combat process is automated, so you don’t have to do anything. 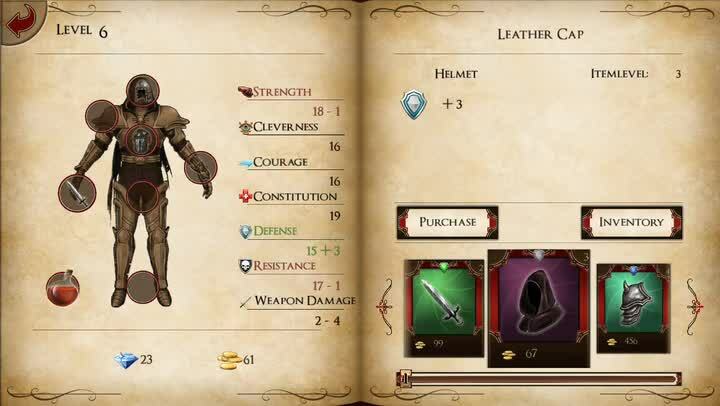 However, as your character progresses, you unlock new skills and abilities for both offense and defense, which you can use to your advantage in battle. Your character is able to equip these skills to use in battle, but the placement of where you equip them matters. This is due to the fact that each slot indicates a turn in battle, so the skill will activate when that turn comes around. While this may not seem like much, it’s important to note because some enemies have disruptive attacks, so using the right skill at the right time is everything. To take advantage of this system, though, you’ll have to memorize the enemy’s attack patterns and modify your skills before battle. While you can get equipment and items from fallen foes, there is a shop that you can browse between dungeons for equipment upgrades and potions. If you die in the game, you’ll lose any loot that you picked up in the dungeon and have to start over from the beginning, but you don’t lose your character’s level or purchased items. If you can afford the goblin insurance, then you’re able to continue and keep found loot. 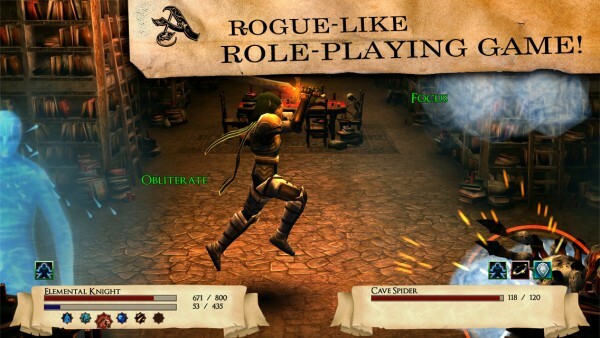 Since the game is a casual RPG with a dash of roguelike elements, the replay value is rather high. There is full Game Center support for leaderboards and achievements, so there is a lot of reason to come back for more with Skilltree Saga. I’m still only in the beginning of the game, but it’s been an enjoyable game so far. It looks fantastic, the music and sounds are delightful, and the gameplay is simple yet challenging. 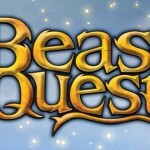 Even though this is a much more casual RPG, it is still a lot of fun to play, and is great for playing during downtime. I recommend it for anyone who likes a challenge. 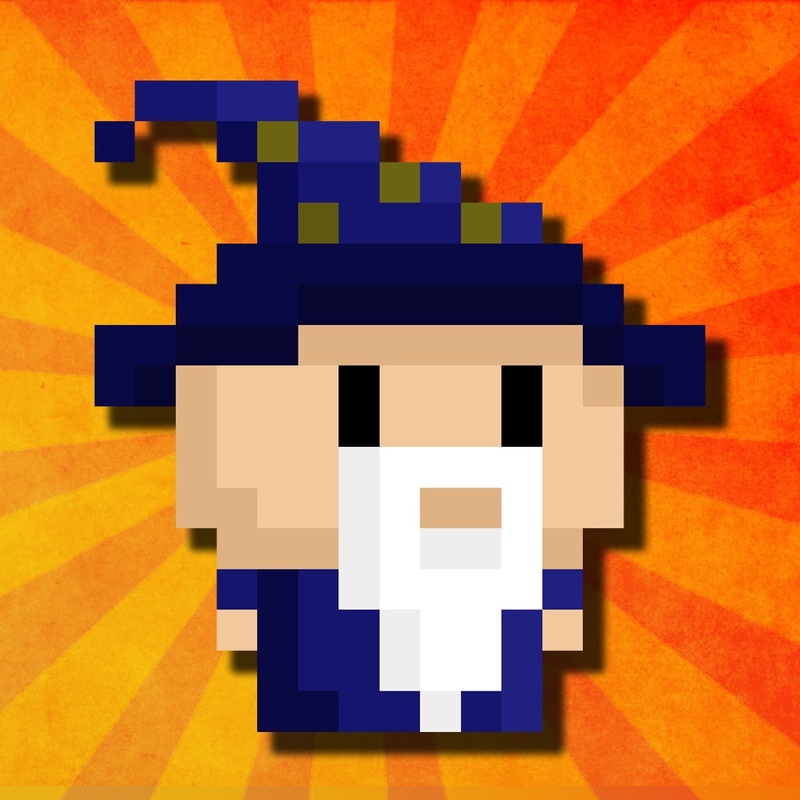 Skilltree Saga is on the App Store as a universal download for just $2.99. There are no in-app purchases.